Salt the fish, toss it in the flour and then shake off the excess. Beat the eggs in a deep bowl and dip the fish in the egg. Rinse the lime in hot water, grate the zest, squeeze 2 tbsp of juice and set aside. Mix the panko breadcrumbs and lime zest in a shallow dish, turn the fish in the breadcrumbs in batches, press the breadcrumbs down firmly so that they adhere. Heat the oil in a non-stick pan. Fry the fish in batches for approx. 1 1/2 mins. on each side, drizzle with the reserved lime juice. Mix the Peppadew peppers with the cream cheese and honey, season with salt. Prepare the tortillas according to the packet instructions. 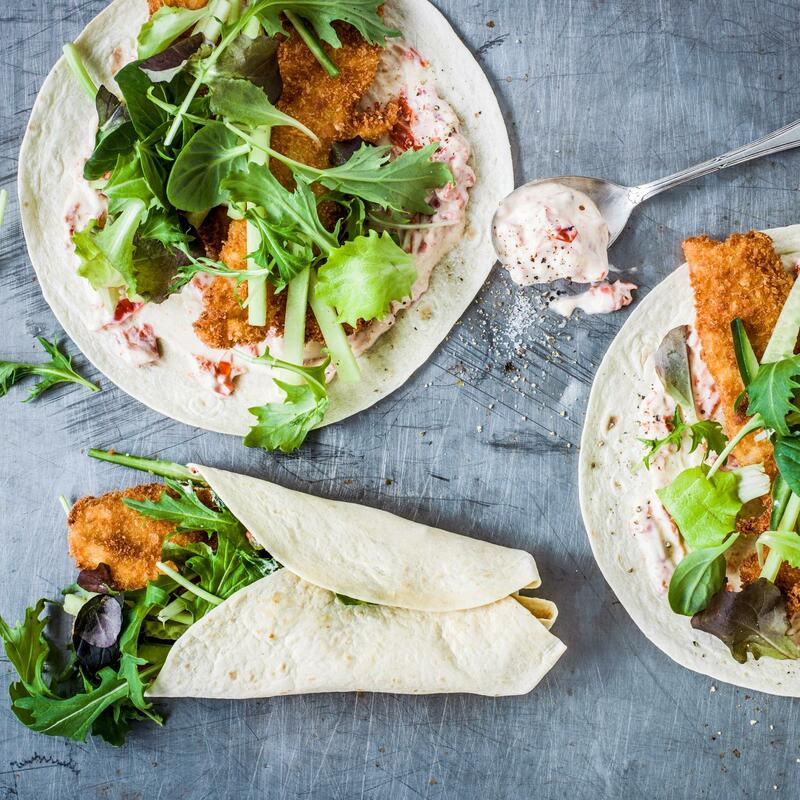 Spoon the Peppadew mixture onto the tortillas, arrange the lettuce, cucumber and fish on top, fold in and roll up.